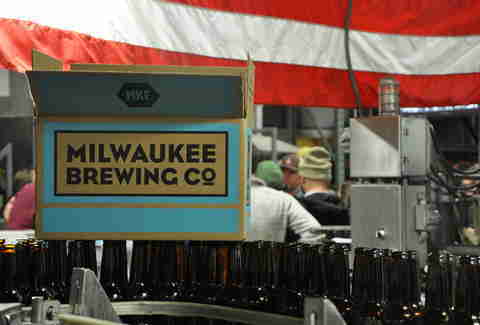 The great prophet Alice Cooper was right: “Mil-e-wauk-ay" is indeed the Good Land. The city is home to some amazing watering holes, cutting-edge dining spots, comforting cheese-and-brat eateries, and more brewery tours than you can shake a cup full of dice at. 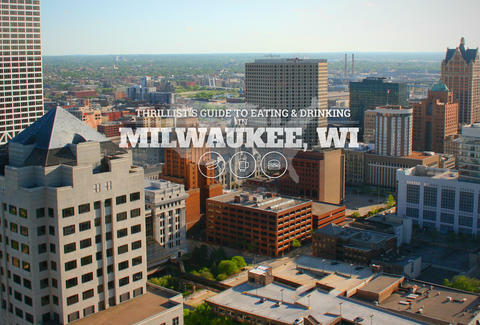 It’s true that Milwaukee has more bars than grocery stores. These are our favorite places to eat, drink, and watch people make beer (while drinking it). Tell us yours in the comments section. Welcome to the Good Land. What you're getting: There’re a lot of great burger joints in Milwaukee -- big ups to Sobelman’s, AJ Bombers, and Solly’s -- but newcomer Oscar’s is throwing down the burger gauntlet. Slightly off the beaten path on 17th & Pierce, Oscar’s rocks an outdoor patio, new draught lines, and a summertime food truck. Oh, and it has one of the city's best burgers. One bite of the Big O burger and you’ll be hooked: it’s a pile of premium Black Angus, Jack, Gouda, hickory bacon, chorizo, fried onions, jalapeños, and a side of guac and fresh-cut fries. If that’s not enough, well, it’s because you’re fat. But you’ll also be happy, because there’re fried cheddar nuggets, fried beans, and other crispy brown bites to keep your hunger at bay. What you're getting: The Comet exists because a) people love brunch, b) people love bacon, and c) people love beer. Comet does the Holy Trinity of Bs (can we trademark this?) so very well that finding a table in this tiny, dual-sided bar/cafe can be difficult on the weekend. 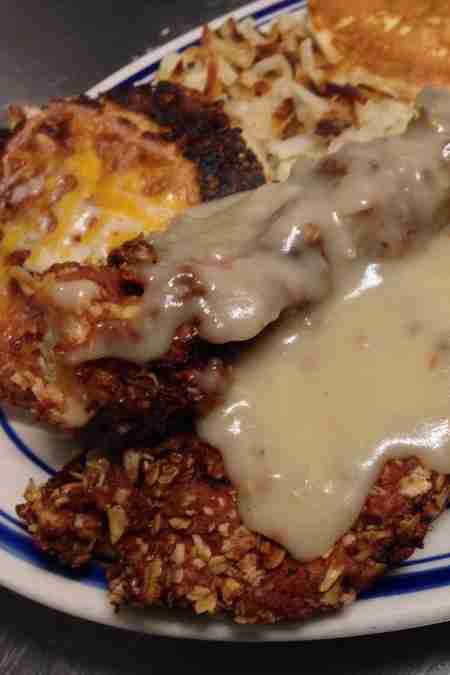 Hungover or not, folks venture here for stellar biscuits & gravy, hearty meatloaf (wrapped in bacon, because of course), and some bomb mac & cheese. On Sunday nights -- undoubtedly doing the Lord’s work -- Comet even offers a sacrament of free bacon. Beer School events occur monthly, in case you want to learn something as you shovel pork in your mouth. Oh, and definitely hit up Comet’s sister bar, Honey Pie in Bay View, where they pair pie and cupcakes with booze. Remember, the 2,000 calories per day diet is just a suggestion. What you're getting: Ever since it opened in summer of 2012, curious eaters have lined up at the door for a taste of what this Bay View restaurant is cooking. The Duck's tiny kitchen specializes in shareable small plates ranging from their popular Korean pancake to the crowd-favorite bacon-wrapped/Gouda-stuffed dates. Practicing veganism (or courting a vegan)? Odd Duck covers that too, and even carnivores dig the plentiful vegetarian options. Add their fine cocktails to the docket and you’ve got a pretty good idea of why this place has blown up in such a short time. Which is to say, reservations are highly recommended. 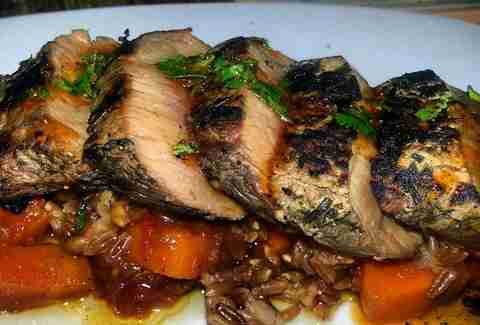 What you're getting: While Milwaukee isn’t exactly known for its conservative food portions, Morel’s yet another small-plates spot serving upscale fare. New to the neighborhood, Morel takes its name from a mushroom obsession that’d make a Phish fan blush. Hedgehog, shiitake, crimini, and other farm-fresh ‘shrooms rotate weekly on the menu, which also includes a meticulously curated beverage program, meaning you’ll never have to worry too much about what beer best pairs with rabbit loin & dandelion or other playfully innovative dishes. 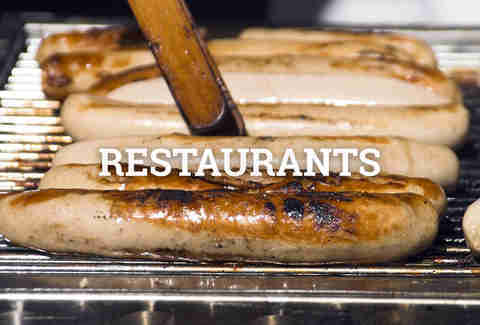 Sit at the end of the bar for a first-hand view of chef/owner Jonathan Manyo’s culinary fireworks in the open kitchen. It’s pretty mind-blowing, mushrooms or not. What you're getting: With its locally sourced meats and cheeses, Bavette strives to convey a smart approach to dining -- and it’s helping transform the city’s food scene in the process. 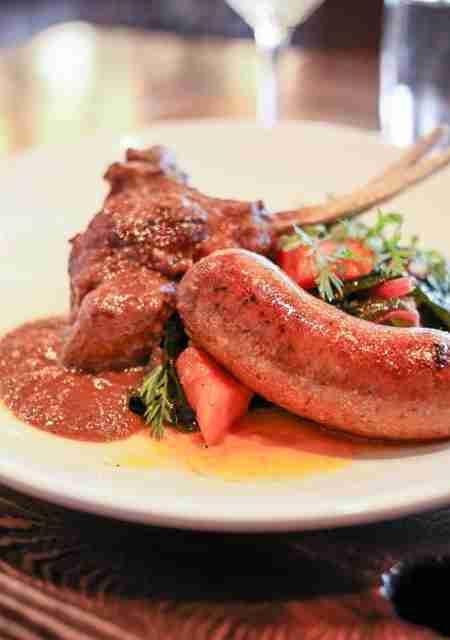 What started out as an upscale butcher shop has slowly transformed into a lunch and dinner mainstay. 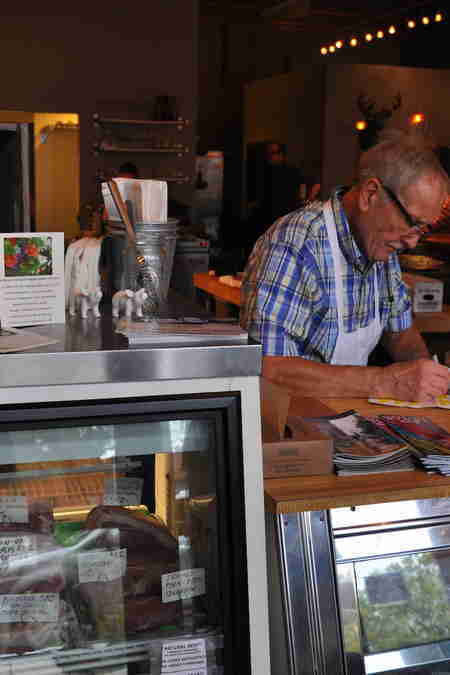 At any given time, you could stumble upon Bill, the resident butcher, carving up a lamb shank with a hacksaw in the middle of their open kitchen. If you’re overly-squeamish yet for some reason in a butcher shop, head to one of the 10-12 tables for a taste of Bill's work without the show. Bavette also stocks a small, efficient spirit selection, plus artisan gourmet sodas (the ginger-cherry is amazing) and a globe-spanning beer list. From the beef tongue Reuben to kimchi sausages, Bavette is quickly becoming the spot to go in the Third Ward. What you're getting: A restaurant for the American foodie in all of us, Triskele’s delivers consistently delicious morsels time and time again from its seasonally-changing menu. It’s one of Milwaukee’s most underrated spots, serving up comfort like a dynamite sausage-topped mac & cheese and a mouth-watering Friday Fish Fry... that glorious mainstay of Midwestern weekend cuisine that ensures everyone’s Catholic at least once a week. And if you prefer your comfort food a little fancier, the seafood selection goes beyond the batter-dipped variety, with mussels and mahi holding court to appease your date as you shovel fried fish into your face. Truly, there’s something for everybody. What you're getting: Beer and cheese are synonymous in Wisconsin. Even corner gas stations have the best “squeaky” cheese curds for sale. 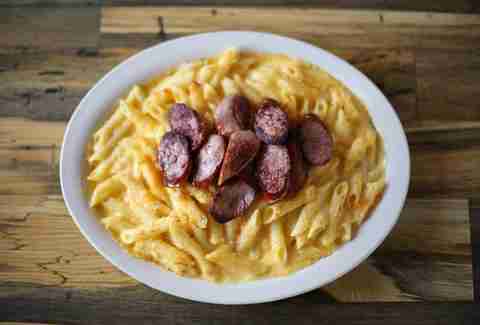 But if you’re looking to combine those two most Wisconsin of diet staples (plus bratwurst, so really all three), look no further. The 30+ taps of Wisconsin beer featuring reliable breweries like Sprecher, Lakefront, and Central Waters are partnered with hard-to-find pours from Black Husky, MobCraft, and 3 Sheeps. If that didn’t convince you, then consider these four words: beer and cheese flights. 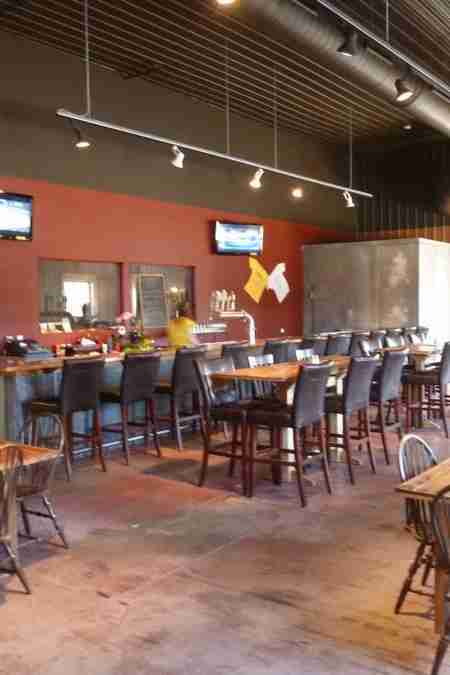 The Uber Tap Room frequently holds pairing classes, plus brewmaster and cheesemaker showcases, so you can get fat and smart at the same time. What you're getting: This trendy Bay View neighborhood haunt caters to beer lovers and cocktail aficionados alike. Patrons can always count on Burnhearts to have an extremely well-curated tap list (make sure to ask about Carl’s Secret Stash, a list of cellared brews lurking in the basement) and cocktails from the brilliant mind of Katie Rose that change with the seasons (Wisconsin actually has four seasons!). 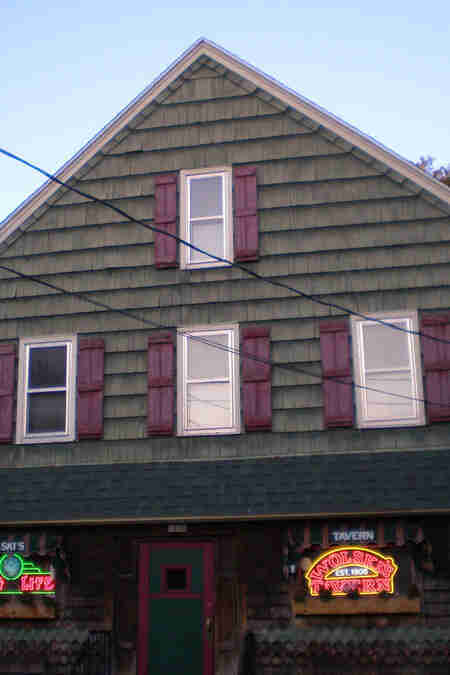 Once inside, bar-goers are treated to dim, red lighting alongside pictures and statues of bare-chested women on the walls. Spend an hour here next to Schlitz-chugging hipsters listening to the live DJ and the place will quickly achieve a place in your heart. What you're getting: The 414 area code is not tropical. Sure, there’s a Great Lake immediately to the East and the summers can get extremely humid. But tropical? No. That is, unless you make it to Foundation in the Riverwest neighborhood. 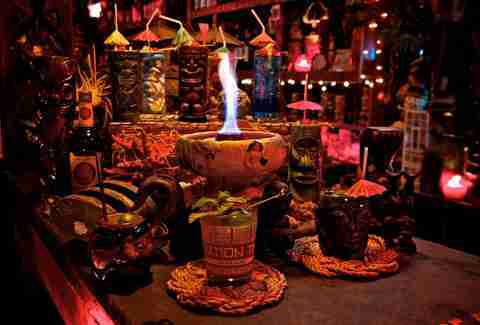 Adorned with bamboo, fish tanks, coconuts, sea horses, and puffer fish, Foundation whisks patrons away to where rum is king (no, not a Madison frat party). The sugarcane spirit is featured prominently alongside other island favorites, and some cocktails are served in ceramic vessels which can be yours to keep for a small price, making it a haven for Tiki fans and UW-Milwaukee students alike. Pro tip: a late night at Foundation is best cured by a caffeine top-off at Fuel Cafe the next morning. What you're getting: This tiny Bay View bar happens to house the best Belgian beer offerings in a city most famous for decidedly not-Belgian beer. Seating in the Palm is limited, but it only adds to the comfort factor. Once you’re in, you’re guaranteed to be enthralled at the multi-page three-ring binder featuring globe-spanning bottles and an awe-inspiring selection of bourbons and whiskeys. The Palm is virtually unmarked aside from a small, yellow neon palm in the front window, adding to the exclusive-feeling allure. No frills here, just an impeccably curated list of beers and booze. What you're getting: A true Irish Inn within the heart of Milwaukee, County Clare’s not only a great place to stay (the "Inn" thing's no joke! ), but also the absolute best spot to get a fresh pint of Guinness this side of the pond. And we’re not talking Lake Michigan. Snuggle up to the fireplace during the sub-zero winters and enjoy some great traditional Irish fare (the curry fries are dynamite) alongside a nip of Irish whisky. The County Clare has an insanely inviting atmosphere, and many of the bartenders and waitstaff are from Ireland. For anyone with a surplus of Os in their name, it’s home. 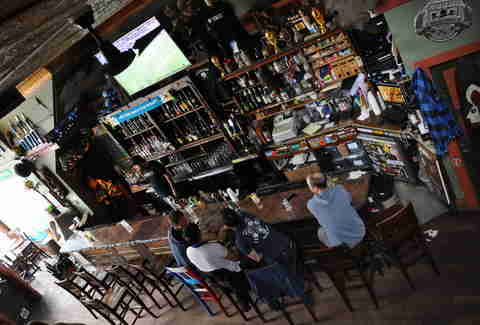 What you're getting: Open in the wee hours of the morning for most soccer matches, the Nomad World Pub is Milwaukee’s premier spot to catch not-Packers football. Thousands descended on the bar for its Favela-themed outdoor scene during the World Cup. The bar itself can get slightly cramped inside, but roll in with enough people on a weekend night and they’ll be more inclined to open the second level. No stop to the Nomad is complete without indulging in their ‘Prix Fixe’ special: an ice-cold can of PBR, a shot of Jameson, and a cigarette for $5. If cheap beer, booze, and a cigarette isn’t your thing, the Nomad specializes in a variety of European brews next to American craft on the draught lines. It’s a mainstay in the ever-changing landscape of busy Brady Street, the area that continually gets the nod for best bar district in the city. What you're getting: Venture into the Newport late at night and you’ll notice a lot of service-industry folks, and that’s always a great sign. 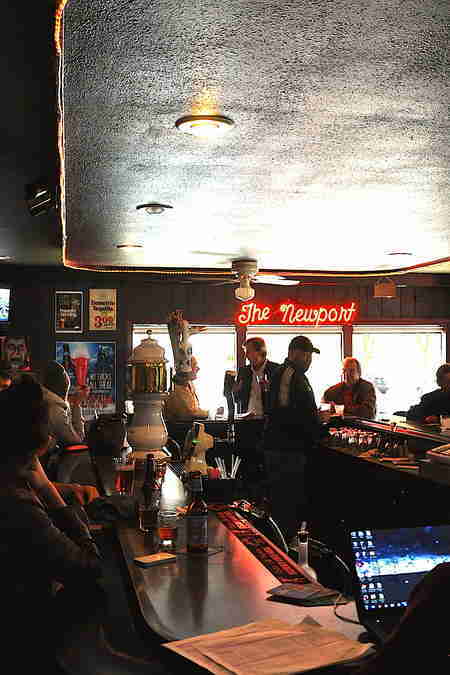 Everyone -- bartenders and barflies alike -- loves the Newport. It’s the kind of joint where stress melts away like an ice cube in a glass of bourbon. Maybe you’ll be lucky enough to run into Frank, the bar's hilariously eccentric owner. 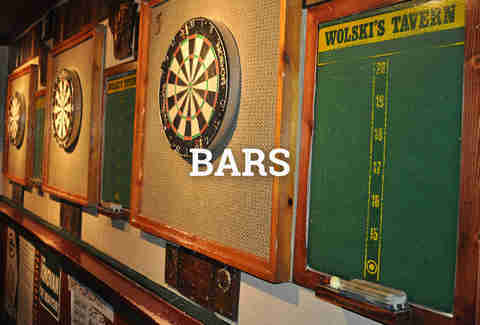 Shoot some stick, enjoy an Emil’s frozen pizza or two (cooked, please), and indulge in a surprisingly great beer list. The square bar is great for people-watching in this dark, somewhat stale, but spectacularly lively spot. Stay until something unintentionally hilarious happens. It won’t take long, and you’ll have a great story to tell on your next visit. 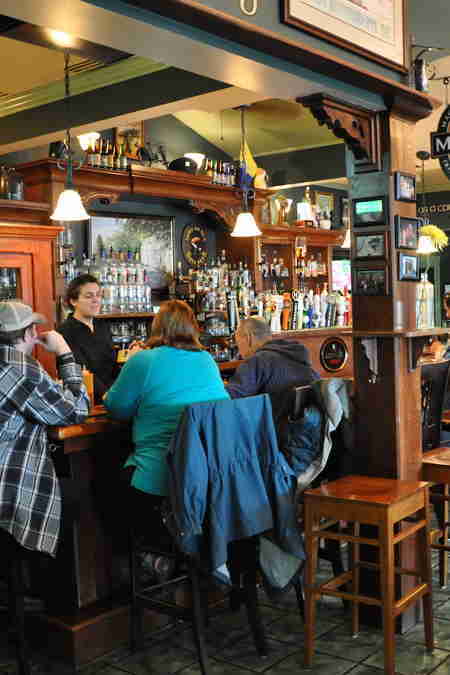 What you're getting: Slightly off-set from the party-hard atmosphere of the North Avenue district sits Paddy’s Pub, a two-story house covered in vibrant green vines on the exterior. It’s insane how well-decorated Paddy’s really is: between the three bars on three levels, there’s enough knickknacks in there for Paddy’s to have its own episode of Hoarders. The pints of Guinness and shots of Jameson flow with reckless abandon in this extremely inviting spot. 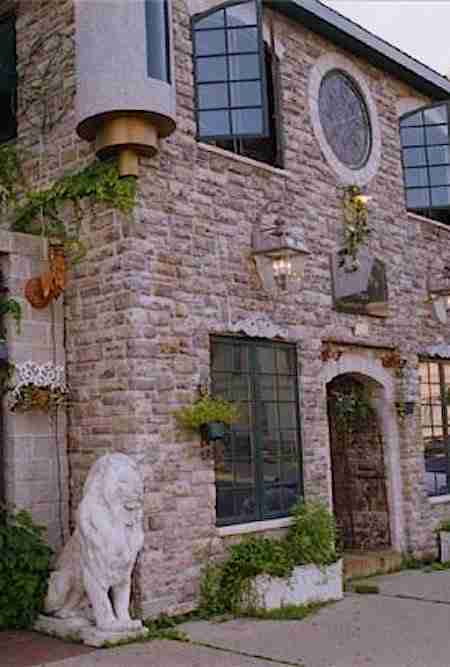 Find a table, bask in the traditional Irish music, and just get lost here. It’s easy. And you'll notice something different every time. What you're getting: After a fire devastated this speakeasy-style cocktail lounge in 1971, the owners steadily rebuilt and made Bryant’s what it is today. 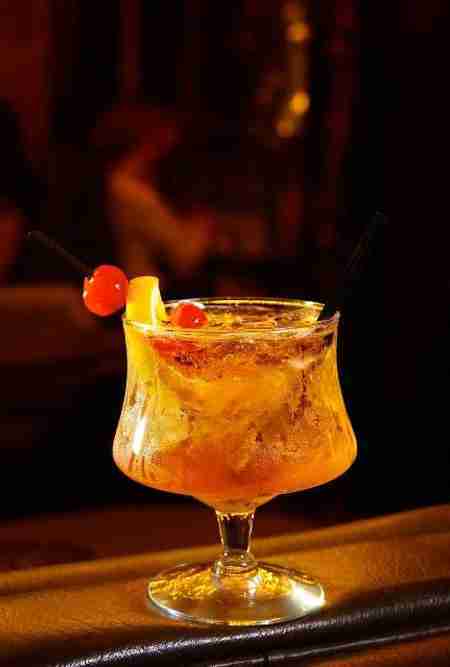 Imbibing at Bryant’s is like taking a time machine back to the ‘70s. 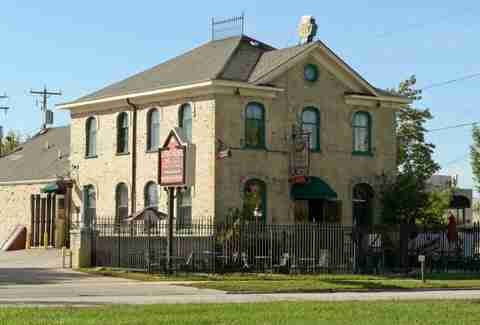 The inconspicuous blue house is perhaps Milwaukee’s most awarded bar, and for good reason: Bryant’s appeals to everyone. From Marquette undergrads to seniors on their first SeniorPeopleMeet.com date, locals, and tourists, everyone’s welcome here. The impossibly dark, cozy interior’s lorded over by the city’s best drink slingers. There’s no menu available here: patrons simply vocalize what liquors and flavors they enjoy, and the barkeep does the rest. And boy, do they do it well. This is cocktailing made personal. What you're getting: Flying into Milwaukee through tiny General Mitchell airport? Landmark 1850 is a must-stop, and it’s basically across the street. 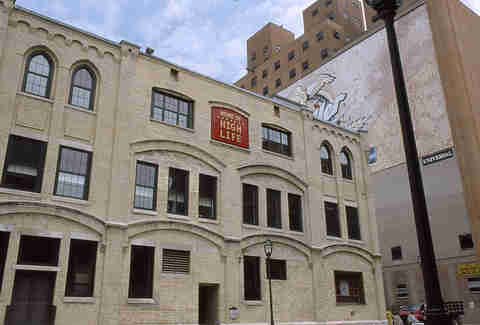 Much like Bryant’s, a visit to Landmark is a short history lesson of old-time Milwaukee. The bar’s been in the old building as long as the copper/iron ceiling. Owner Joe and his son, Jeff, are frequently on hand to tell you the history of Wisconsin’s first bar. 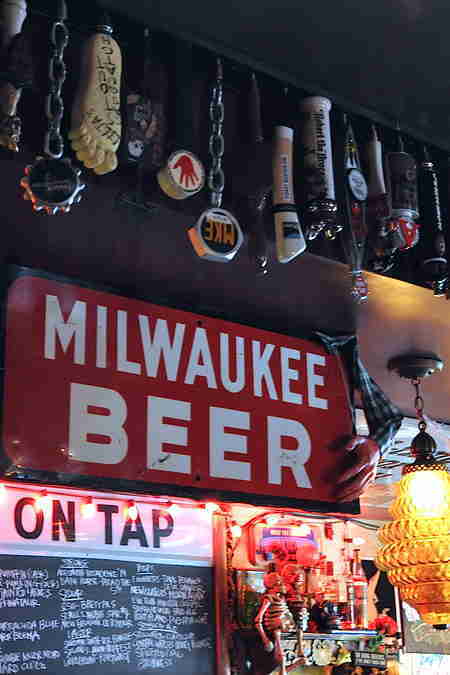 European mainstays and American craft beers dominate the taps here and pay homage to Milwaukee’s early German, Polish, and Irish heritage. Everything is affordable, and the simple bar food is top notch. And if you’re jetlagged, don’t be surprised if you snap to thinking your plane went back in time. What you're getting: Since 1987, Lakefront has been a favorite for Milwaukeeans. Ask any local what their favorite brewery tour is, and their most likely answer will be this one. Said tours are cheap, semi-educational, and upbeat, with a good amount of audience participation involved (some lucky attendees are able to pour beer for the group at various spots on the tour). Celebrate the days when the beer chalet was at County Stadium and sing the theme song of Laverne & Shirley as you sip on Riverwest Stein or Eastside Dark. 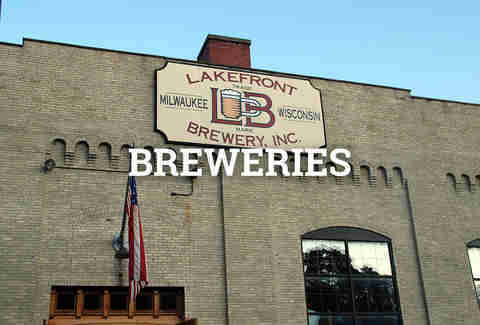 Lakefront Brewery gives a nod to the historical significance of Milwaukee, all while exploring new brew styles. Throw in a food menu that includes beer-battered polish sausages, beer cheese soup, and other Wisconsin staples and there’s really no reason to leave this place. 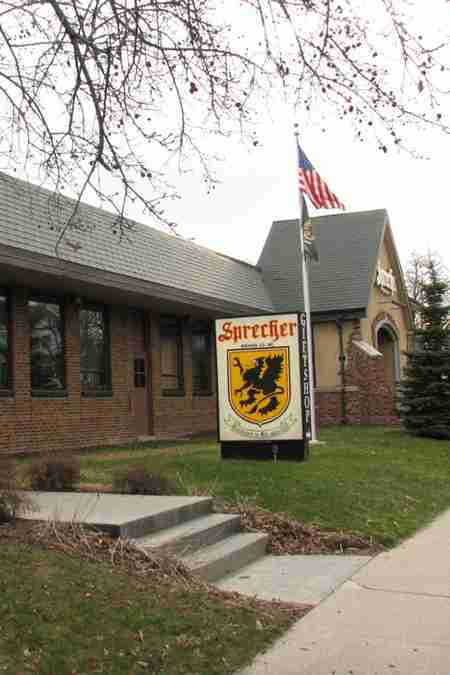 What you're getting: Nestled in the Northwest ‘burb of Glendale, Sprecher has been carefully cranking out delicious German and American-influenced brews for almost 30 years. A tour here will take you through their gift shop, alongside the brew kettles, and through the bottling room. It finishes in their gorgeous wooden-carved tasting room. Perhaps as popular as the Black Bavarian and Hefe Weiss are Sprecher’s award-winning gourmet sodas, which are sought after throughout the country. The root beer is everywhere, and for good reason: its fire-brewed flavor is a favorite among kids and adults. Though, really, you're not here to drink root beer. 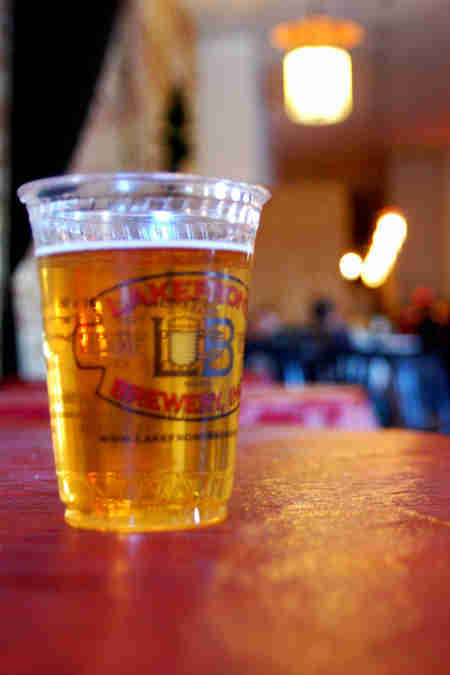 What you're getting: The aptly named Milwaukee Brewing Company's tour provides the most fun you’ll have with $10 in the city, unless you’re really, really good looking (which you are). The space is small (the whole tour basically takes place in one large room), and the learning aspect isn’t dominant... but you’re not there to exactly retain any information. You’re there to drink (and nod occasionally), and that’s exactly what you’re going to do. From the flagship amber ale Louie’s Demise (ask for the backstory) to the hot new Outboard Cream Ale (ask to check out the tap handle), you’re guaranteed to have a great time while drinking through the wares. The Friday 3pm tour can get especially insane. 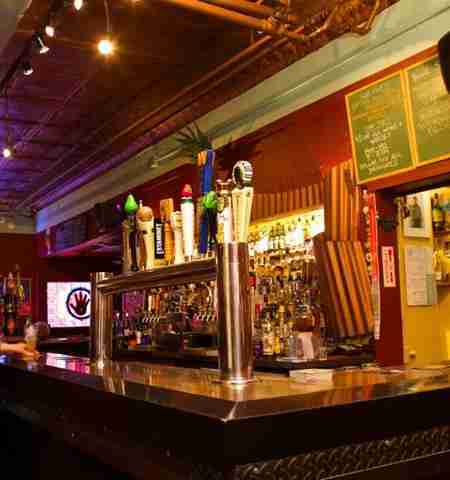 If you still have some gas left in the tank, use one of your tour tokens to have a MBC brew at a local bar. What you're getting: In Oconomowoc (say it with us: “Oh-Kahn-ah-moh-wok”) rests newbie Sweet Mullets. In addition to having a badass brewery name, the (unfortunately) mulletless brewers here make some great brews. 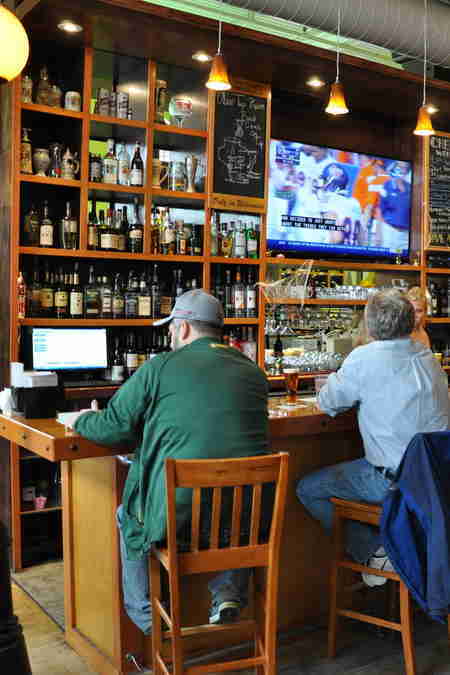 Although there are no tours outside of the summer season, a stop to their tasting room to try Jorge Jalapeno Ale is necessary, and makes a West-of-the-city pilgrimage a must. 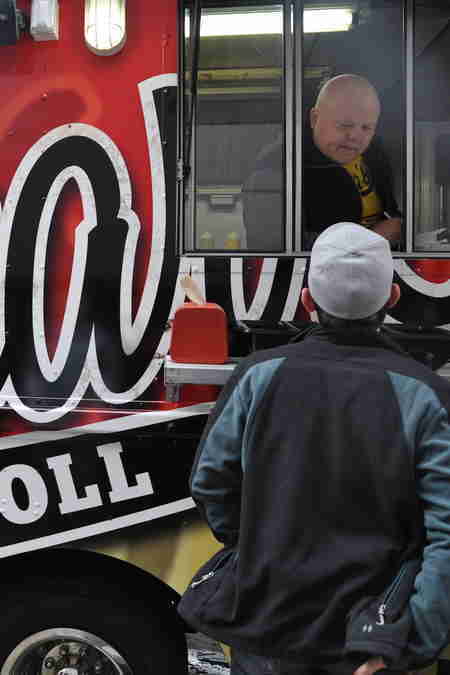 Sweet Mullets is easy to miss in the tiny industrial park, so pay attention. You’ll feel like you’re in on a secret. And maybe you'll be inspired to get a haircut. What you're getting: Great Lakes is clearly not a brewery, but their tours are so spirited (ugh... sorry) that it had to be included. They have a great bar showcasing their spirits -- Rehorst Vodka, Citrus & Honey Vodka, gin, whiskey, and rums -- in cocktails, to-go bottles, and a tour that will leave participants feeling a little fuzzy when it’s all over. 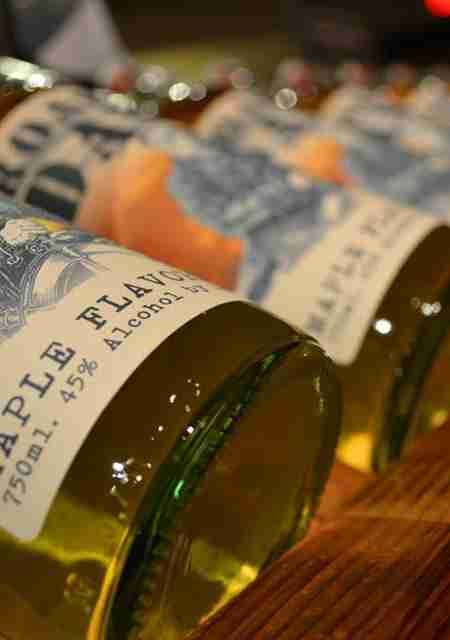 You won’t be seeing fairies after sampling their absinthe or speaking Yooper after indulging in an Old Fashioned, but a tour here is a good primer for a night out. Oh, and there’s a beer connection, because this is Wisconsin: Lakefront has been known to use some of their whiskey & rum barrels to age their beer. What you're getting: This one's actually pretty obscure, so you might have a hard time finding it. If you live here, you either work here or avoid it. If you're visiting, you're inexplicably drawn to its allure. And no matter who you are, you drink something made inside on a regular basis. Jay Phillips is a professional beer peddler that has lived in various cities, towns, and villages in Southeastern Wisconsin for three decades. Lover of lists, indifferent towards pet rodents, and hater of senior citizens driving cars.